The thing about this whole blogging malarkey is that it has led me to discover things I probably would never have heard of. Recently I was fortunate enough to be invited to the opening of the second branch of Zen Pharmacy based in Baker Street, London. the first is in Knightsbrige. 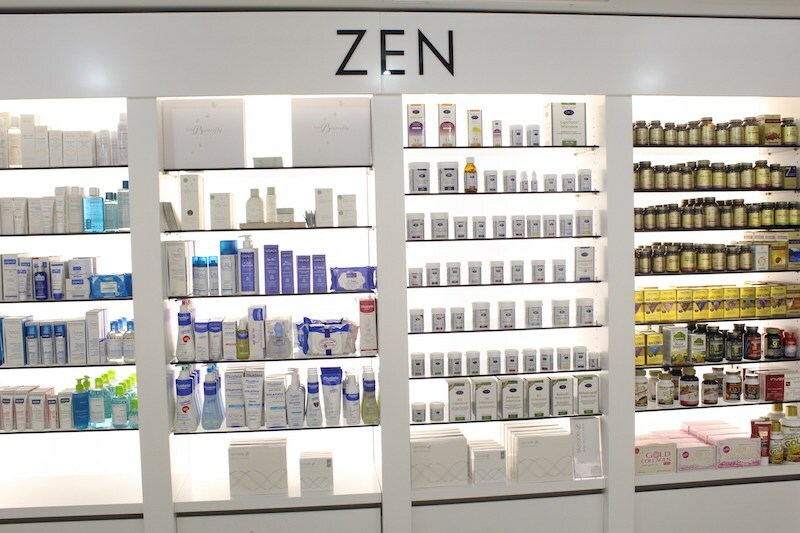 As the name implies Zen is a pharmacy but not just any pharmacy, the services offered are something completely new to me and quite frankly breathtaking. It's wellness and beyond! The team at Zen comprises a talented multidisciplinary group of doctors, pharmacists, nutritionist, dermatologists, beauty therapist, holistic therapy, homoeopath and physcotherapy. As well as treatments you can pop in for something as simple as a pack of plasters or treat yourself to some high end beauty products, the range is endless. I want to say store but Zen is much much more so will use the term health & beauty emporium, it is beautifully decorated from the white marble floor to the glistening modern style chandelier, everything oozes style and sophistication, you can contact any of the specialists to discuss any health issues you may have or any aesthetic treatments you are considering, there is a specialist in all forms of wellbeing that could assist you, or simply browse the vast range of products on display, discovering old and new favourites in both health and beauty. On a personal level I have never experienced anything like this before and hope that it becomes the way forward as it really is the perfect one stop shop for all your health and wellbeing needs.